We fell in love with Lincoln when we visited. With its beauty, history, culture and delicious food, there wasn’t really much not to like! However, the highlight of our stay was Lincoln Castle. Let me tell you why. It was William the Conquerer who decided to build a splendid cathedral and castle almost next to each other in Lincoln. You feel quite spoilt when you look from one to the other – views aren’t normally this magnificent – and only a short trip through the marketplace separates the two. So, the castle was built almost 1,000 years ago by William, as part of his strategy to keep control of the north of his new kingdom. Located at the top of a hill, its huge size made it clear that the king meant business. Over the years the castle has seen all sorts of historic happenings, from the capture of King Stephen in 1141, to the withstanding of a 40 day siege during the reign of Richard I. The castle was besieged again in 1217 and in 1644, during the English Civil War. The 1217 siege took place during the civil war which followed the signing of the Magna Carta and Lincoln Castle boasts one of only four copies of this famous charter. Even more impressively, the castle has an original Charter of the Forest (basically a later version of the Magna Carta, reissued in 2017 with some extra clauses). This is the only place in the world where both of these famous documents, one more than 800 years old and the other not far off it, can be seen on display, side by side. When you enter Lincoln Castle (the grounds are free, but you have to pay to go inside the buildings), you have a few options. You could start by walking around the walls, but I’m going to suggest going directly inside to see the Magna Carta, which is held in a brand new vault. You enter this by crossing an old Victorian exercise yard (used when the castle was in another guise, as a prison). Keep going down some stairs, past a really gorgeous display of Barons’ shields, and you are there. We’d recommend that you start by watching the introductory films. There are two of these and while one explains the story of King John and the reasons behind the signing of the “great charter”, the other looks at its significant over the many years since. It’s really quite moving to see how it had a huge influence on so many different people from so many countries. We thought these films were very well done and actually gave you the information and historical context needed. We have been to many historical places, and found ourselves dismayed by all the glitz and interactivity offered without also offering any basic explanation of why you might want to be there. The Magna Carta films were far better than this. The idea was that mixing together led to the spread of dangerous ideas. Because of this, prisoners were kept isolated, in their cells, while exercising and at meals. The aim was for them to think about what they had done and to repent. You could only look ahead to hear the chaplain! Because of the regime, the prisoners were also kept apart when they went to pray, and that means the chapel is particularly unusual – it’s the kind of place that stays in your head long after you’ve visited. This is because there aren’t pews, and instead the chapel is made up of separate cubicles, each with a door to separate prisoner from fellow prisoner (protecting them from contamination). This “separate system” chapel is the only one of its type in the world. It felt very strange being shut in these narrow cubicles. All you could do was face ahead, where, of course, in the past you would have listened to the Chaplain each week. The chapel isn’t all that’s left of the castle’s Victorian phase. You can also visit the main part of the old prison and into the cells too. These have been very cleverly done for visitors, with some containing the type of activities prisoners would have got up to (you can have a go at the tedious task of picking oakum – separating strands of rope) and others which screen videos of real people’s stories and ask what kind of punishment viewers think they should get. Lincoln Castle is not the kind of place for a quick visit, but I can only see that as a positive. It also contains a remarkable sarcophagus, and the courthouse is still a working building, where Lincoln Crown Court hears criminal trials. But I think I loved the walk around the ramparts the best. We were blessed with gorgeous weather and collected our audio tours before we set off. These were excellent and we all enjoyed walking around at our own pace and finding out such a lot about the history of this old fortress (visited by Henry VIII with his bride, Catherine Howard, in 1641). It’s not often that you can see a castle from 360 degrees. The views were brilliant, especially from the castle’s east wall battlements which you look straight across at the soaring spires of the Cathedral. It is also possible to stand just where public hangings were once cheered on by the crowds below and go down into the dungeons. Further along you can also go up, to the observatory tower (not for those who don’t like heights) and walk through the Lucy Tower, which was a burial ground for prisoners hanged at the castle. It’s a quiet place now, and we all sat down for some contemplation. We really enjoyed our trip to Lincoln and loved Lincoln Castle. It was terrific to see its many guises over the years, to gaze upon the Magna Carta, walk into that very odd chapel and marvel at the views. And we would definitely return! Lincoln Cathedral is open every day from 10 to 5pm (from October to March, it closes at 4pm). The Medieval Wall Walk costs £5 per adult, £3 for children, or £13 for a family (two adults and up to three children), while an all inclusive ticket for the castle (including ghte prison, Magna Carta and Medieval Wall Walk) cost £12 per adult, £7.20 per child or £31.20 for a family. This includes a free return visit within six months. As I mentioned it’s free to go into the grounds and we saw lots of families there playing, many who had obviously taken a picnic. This seems a great idea and could well be a lovely way to spend a few hours. We’ve joined up with The Weekly Postcard. Head over there for some more travel posts with great views! It really is a wonderful place. You should definitely go! Great write up and photos this is mine type of day out heavy on the history and heritage of England. I’ve never been to Lincoln but will certainly put this on my list of places to visit. I’ve been to Runnymead where they signed the Magna Carta – very interesting. Runnymede is on my list, but perhaps not this year! Thanks very much for your comment. I can not believe that I have never been to Lincoln. It looks like it is somewhere else that needs to go on our must visit as a family list! An area of the UK we have never been, but in our bid to travel more across UK’s counties, we’d put Lincoln Castle on the list of places to visit. There is loads to do there – it’s a great place for a weekend away! The history of the chapel and prison is fascinating, loved reading about the separation system. I visited Oxford prison (before they turned it into a posh hotel) and it looked almost identical to your photo above, obviously the standard prison design! So much history and I found the part about the chapel very interesting. Lincoln isn’t too far from me, I’ll have to plan a day there! I really would recommend it. If you read Jess’s post, you will see that there is loads to do there and it’s gorgeous! Those cubicles are definitely a little intense! I love sites with such interesting history. Looks like the castle offers a very interesting history lesson. I haven’t been to Lincoln yet, but when I go I will surely visit the castle and the cathedral, it looks amazing! Thanks! We have some amazing castles in the UK. I have never been here but your photos make me want to go. The old prison looks scary. I haven’t long come back from a stay in a hotel which was an old prison. We had a cell room (well 3 cells knocked into one) and I could just imagine being locked up for good. That sounds brilliant – would love that! Would love to get there to see that one! I am a history freak. Therefore, everything you wrote in here sounds very interesting (I have never heard of this place before). The chapel with individual cubicles is a first. Hard to believe the extremes authorities were willing to go to keep prisoners isolated. We love history too – England is full of great places, but this was one of the best…Thanks so much for your comment. Sounds like a fabulous place to visit, will make a note. I’ve not been to Lincoln and I didn’t realise it had such an impressive castle with so much history! That chapel is very weird though. This is great! It’s like history coming to life for your kids. It would be interesting to go when I visit the UK this coming Christmas. Lincoln’s such a lovely place to visit for a few days. The chapel is fascinating. I’ve never heard of – or seen – anything quite like it. Was this very common or did it only exist here? A really interesting post, thanks! I think the ideas behind it were common (separating inmates from each other) but I don’t think the chapels were. It really was fascinating! This sounds like a fascinating place to visit. The chapel is amazing – but I do feel sorry for the prisoners who lived under those rules! An excellent history lesson–with great photos, too. My kind of outing too! I’m in love with castles and historical places and Lincoln Castle looks fascinating. Very beautiful pictures of your family, Sarah. It seems the weather was on your side. Thank you very much – and yes, it was! We saw one of the 4 Magna Carta’s in Salisbury for the celebrations we did a pilgrimage walk with our church, was a lovely day. Lincoln Castle looks fab though I know my 8 yr old would love the prison! Ever since Lincoln Castle was in the news when it reopened I have been longing to go as I am really into history. I’m going to try a and arrange a trip with my history ladies so we can absorb all the info – my son just likes climbing ramparts so a mummy trip is in order first 🙂 Great write up, gives me a great idea of what to see there. Thank you very much. I definitely hope you go as I’m sure you’ll love it. 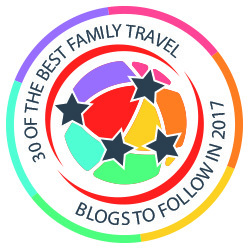 I saw your blog through Joao Leitao’s amazing list of top travel blogs some days ago. I loved Lincoln when I was last there but I think they’ve done quite a bit of renovation on the castle since so would be great to go back. That was an amazing review. And I always thought Fort Knox was a place my Mother just made up!!! The history buff in me is geeking out right now! Super intrigued by the cubicles in the chapel and all of the information on the prisoners. So much interesting history – thanks for sharing! I enjoyed reading your post. Our family visited Lincoln back when I was a 12-year-old who didn’t care a fig about history. I did, however, understand its value and think it was cool that I could see the “actual magna carta.” My perspective has changed now and I can better appreciate all the sacrifices those who came before had made. Who is buried in the sarcophagus? They found a very old group in fact – children and adults. It was amazing! Have always heard how lovely it is, but have never visited. I really must rectify that – looks like a fascinating place! I’ve seen an identical chapel, at Port Arthur a penal colony in Tasmania. Such a sad and lonely way to experience church I imagine. I went to Lincoln when we first moved to Nottingham and I was heavily pregnant and remember it being pretty but hilly! Thanks for the reminder to go back, with kids who would love the castle. Fascinating write up – I agree with the point about interactive displays that don’t actually inform – been there and seen that in so many places. Yes, it is a good one – and seeing the Magna Carta is excellent. Oh I love visiting old prisons, this sounds so fascinating, especially the separate system chapel! This actually isn’t too far from us and yet we’ve never been. Definitely need to address that; it looks like a lovely day out. What a lovely post, my eldest has been covering the magna carta at school. It certainly looks like a great place to visit, thank you for sharing. I hope you do – I’m sure you would really like it. This is great! Looks like this castle have a very interesting history lesson. I would like to visit this historic castle in the UK.